ashlee nicole spills | blog: Flicks | BET's Rip The Runway 2010. Pooch Hall staring Nicki's bum down. This past weekend, RIP The Runway was held in New York's Hammerstein Ballroom. 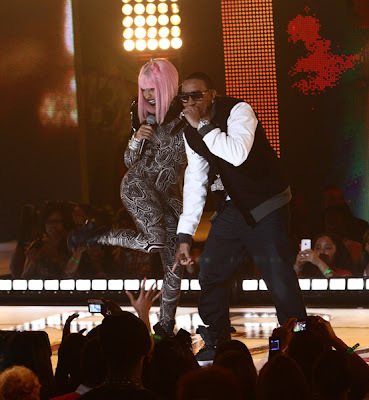 The Game's Pooch Hall and rapper Nicki Minaj hosted the show. Performances included Ludacris x Nicki Minaj, Soulja Boy, Trina, and Estelle. Chech out more photos, here and here.